IRS Launches Crack Down on Identity Theft, Tax Fraud in U.S.
IRS Launches 2013 Crack Down on Identity Theft, Tax Fraud in U.S. The IRS has just announced a nationwide crackdown on identity thieves who steal other people’s tax refund checks or misuse the Social Security numbers of unsuspecting taxpayers. The effort spanned 32 states, as well as Puerto Rico, and was part of a year-long initiative to crack down on tax refund fraud and identity theft. According to an IRS press release, authorities in recent weeks targeted 389 suspected identity thieves from coast to coast. That led to 732 enforcement actions in January 2013, including indictments, complaints and arrests. 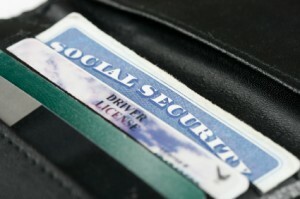 During the entire fiscal year 2012, there were a total 2,400 enforcement actions against identity thieves. So last month’s stepped up activity shows how much more aggressive the IRS is becoming in fighting identity theft. Besides pursuing criminal actions, IRS auditors and criminal investigators also began in late January a special compliance effort aimed at check-cashing operators. Starting Jan. 28, 2013, tax authorities visited nearly 200 money service businesses to help make sure these companies were not assisting identity theft or refund fraud when they cash checks. The compliance visits took place in 17 areas deemed as “high-risk places” by the IRS. Those regions include the areas in and surrounding Atlanta, Birmingham, Chicago, Detroit, El Paso, Houston, Los Angeles, Miami, New York, Oakland, Philadelphia, Phoenix, San Diego, San Francisco, San Jose, Tampa and Tucson. Identity theft affects an estimated 10 million Americans annually. And during tax season, such fraud increases dramatically. When people are victimized by identity theft, they often have to spend countless hours and considerable money clearing up the situation with the IRS, and dealing with the hassle of tax refund checks that can be delayed for months. (Here’s a quick explanation of various forms of identity theft). The IRS is spotlighting its enforcement activity, as well as emphasizing that sentencings of convicted identity thieves continue to increase. There were 80 sentencings in fiscal year 2011; that figure nearly tripled to 223 in fiscal year 2012. Based on current trends and early data this year, even more sentencings can be expected for 2013. Likewise, jail time is increasing for identity thieves. The average sentence in fiscal year 2012 was four years or 48 months. That was four months more than the average sentencing time in fiscal 2011. So far in fiscal 2013, jail sentences imposed on identity thieves have ranged from 4 to 300 months. Even though the IRS thwarted $20 billion of fraudulent tax refunds in 2012, the agency admits it still can’t catch every crook who claims a false refund check. That’s why the IRS in late 2012 put more than 3,000 IRS employees – more than double the number of workers from 2011 – to work on identity theft-related issues. 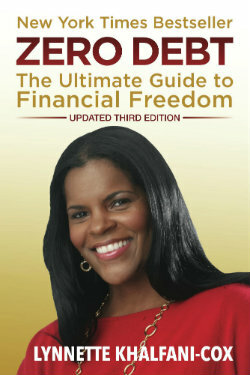 If you’ve been the victim of identity theft or tax-related fraud, follow my tips as found here.